Dungeons & Dragons is a fantasy table-top roleplaying game that combines improvisation, storytelling, and strategy. It was born out of a combination of war-gaming, in which participants simulate historic battles using miniature figurines, and the fantasy literature of J.R.R Tolkein, Jack Vance, and Poul Anderson. It was first published in 1974 by Tactical Studies Rules, and was designed by wargame enthusiasts Gary Gygax and Dave Arneson. Since its inception, Dungeons & Dragons has become a global phenomenon. Its players have included Vin Diesel, Drew Barrymore, Stephen Colbert, and Dwayne “The Rock” Johnson. It has been featured on Netflix’s Stranger Things, and has been cited as a primary influence for Pendleton Ward’s Adventure Time, arguably one of the most influential cartoons of the 2010s. In order to play Dungeons & Dragons, a group of players (often 4-6) will assign the role of ‘Dungeon Master’ to one of its members. This Dungeon Master will take the role of the storyteller, designing the world and its inhabitants. The other members of the groups will each develop a character to roleplay for the duration of the game. This character will have certain talents and abilities that will help them to achieve their goals. To add an element of risk, a Dungeon Master may ask the other players to roll polyhedral dice to determine the success of a particular action. From this, a daring leap out of a tower window may result in a broken ankle, or an attempt to bribe a corrupt official may result in an impromptu chase through some market stalls. Dungeons and Dragons enthusiasts will wax lyrical about this element of risk, each with their own story of success or failure. 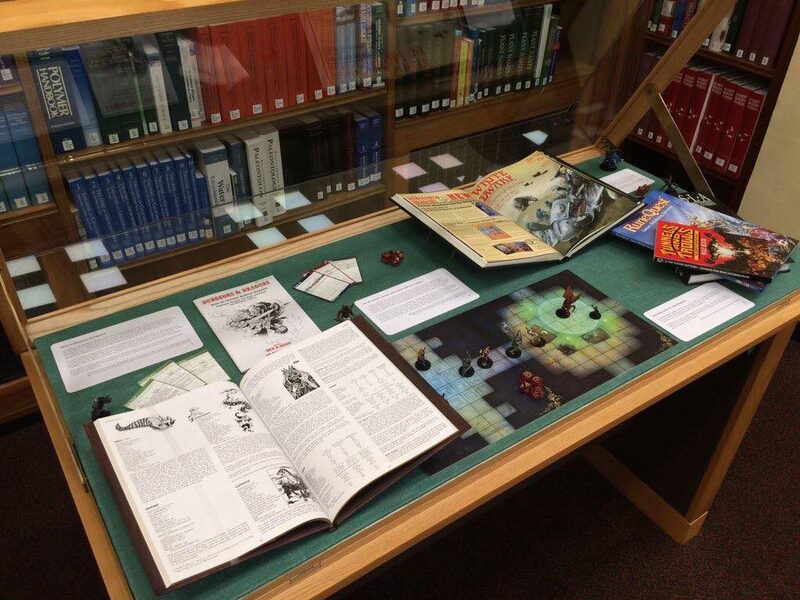 The National Library of Scotland has acquired an extensive range of materials that chart the history of Dungeons and Dragons. Specialist interest magazines such as White Dwarf were the primary source for Dungeons & Dragons news in the 1980s [HJ9.2013]. Their articles featured alternative games, rules, and other supplementary materials to take advantage of the wild imaginations of its fan-base. Equally notable in this series is the kitchen-sink sci-fi/fantasy artwork inspired by the aesthetics of Gene Roddenberry, George Lucas, and Frank Herbert. In 1997 Wizards of the Coast acquired the rights to Dungeons & Dragons, and would later reprint many of the original documents as collectable items. This included a reprinting of the 1974 ‘White Box,’ the original three Dungeons & Dragons manuals, alongside later supplementary manuals [PB7.2156.22/2]. Other notable re-releases include Gygax’s 1979 Monster Manual [HB5.212.10.121]. Diving further into Dungeons & Dragons ephemera reveals the eclectic range of the National Library’s collections. This includes supplementary player materials, such as a set of Deluxe Player Dice [MB6.208.5/12] and Wizard Power Cards [MB6.209.20/16]. However, the most surprising item is a complete ‘Basic Board Game,’ with each piece painstakingly labelled with a corresponding National Library reference number. [MB6.207.3/2]. No library patron has requested to play this game since its acquisition in the mid-2000s, possibly due to the daunting quietude of the General Reading Room. 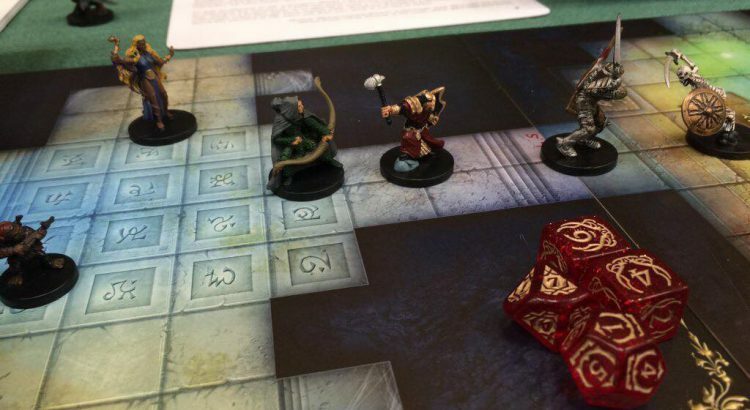 Despite its ubiquitous presence, Dungeons & Dragons is not the only table-top roleplaying game. Tunnels & Trolls was published in 1975 as a less rule-heavy alternative to Dungeons & Dragons [WP1.86.345]. Others include the dystopian Shadowrun, the Lovecraftian Call of Cthulhu, and RuneQuest [W8.87.633]. More recent iterations include Glasgow-made SLA Industries [H8.202.036], the Jane Austen inspired Good Society, and the parodic card game Munchkins. Notably, Dungeons & Dragons is not the only game in the National Library’s collection. Our collections contain every published copy of the Choose Your Own Adventure children’s book series [WP1.82.223-], the ‘Mountaineering’ and ‘Highlands & Islands’ editions of Monopoly, and thirteen Scrabble dictionaries. Each of these is testament to the breadth of the library’s collection, as well as the scope of human imagination and capacity for fun. ‘Dungeons & Dragons at the National Library’ will be featured in the General Reading Room during November 2018.